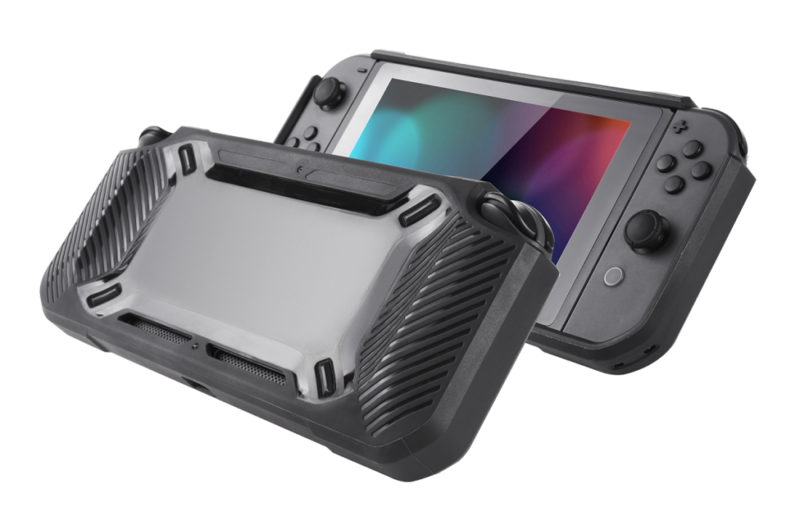 The Tough:Case – has been designed to protect the system in handheld mode. Safely helping protect against damage to the fragile hardware. The strong shell offers high protection, including scratch resistance on the back cover and an eye catching Strawberry pink and Black, this case is an easy option for all players on the go. The Game:Case – A great companion to the Tough:Case, handling storage and protection for up to four games at a time. Small enough to slip in pockets easily, it lets owners rest assured their games are in good hands. The Tough:Kit – Also including the set are a couple of controller caps, protecting the small analogue sticks from wear and tear from normal use, especially the rough treatments from the insides of pockets. 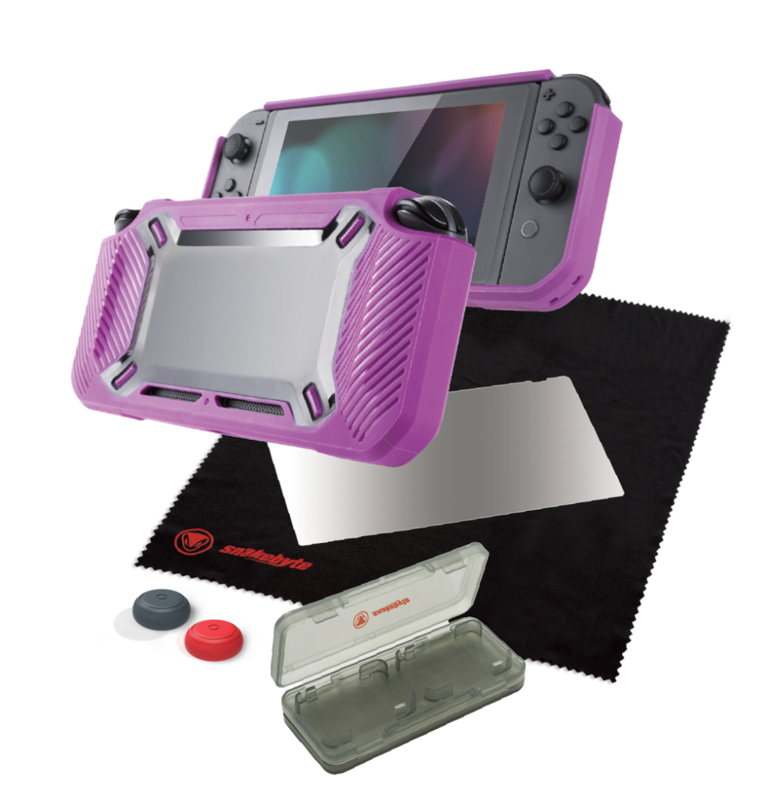 Screen:Shield PRO – Lastly, this snug fitting screen cover is an obvious choice for scratch and damage resistance. Made from tempered glass, it is designed to provide screen protection without impeding the view.